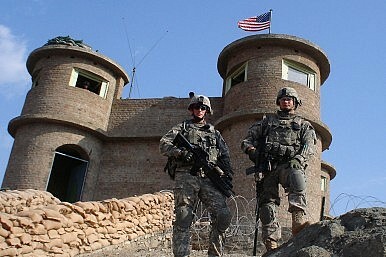 Diplomat contributor Robert Dreyfuss shares his views on Hamid Karzai’s call for U.S. troops to leave outposts. Just following up on the news I mentioned earlier today that the Taliban is suspending preliminary talks with the U.S.
Robert Dreyfuss, a regular The Diplomat contributor and long-time Afghanistan watcher, shared his thoughts with me on the implications of that announcement, as well as Afghan President Hamid Karzai’s call for U.S. troops to withdraw from its military outposts. I also asked him what his take was on how committed the Taliban has been to the talks. “I do think that part of the Taliban is serious about talks, and likely they still are. But the more the timetable accelerates for a U.S. withdrawal, the more the Taliban is likely to wait things out,” he told me.